Alphabet reported soaring sales and profit just days after Facebook’s blowout earnings. Concerns about fake news and the wanton commercialization of consumer data have done little to clip their dominance of online advertising. It’s all the more reason for regulatory oversight. 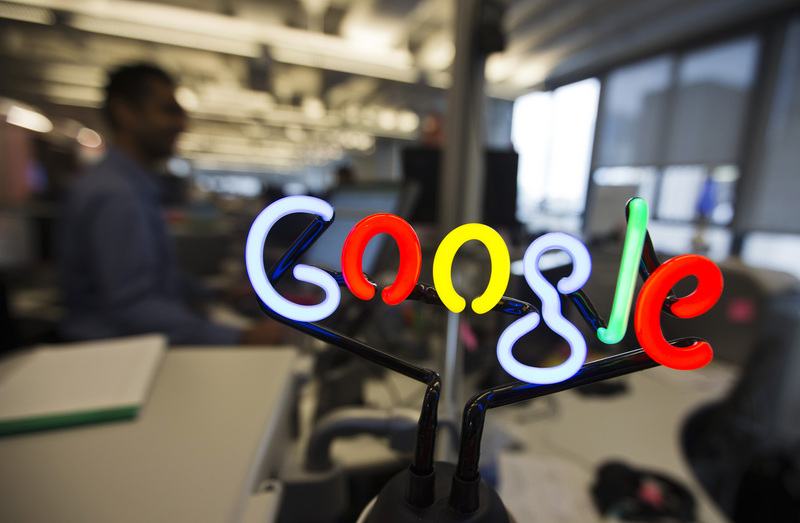 A neon Google logo is seen as employees work at the new Google office in Toronto, November 13, 2012. Alphabet on Feb. 4 reported revenue of $39.3 billion in the fourth quarter of 2018, up 22 percent from the same period a year earlier. The company earned $8.9 billion, up from $6.8 billion a year earlier before adjustment for the impact of the 2017 U.S. Tax Cuts and Jobs Act. At $12.77 a share, earnings exceeded the mean analyst estimate of $10.87 a share, according to I/B/E/S data from Refinitiv.